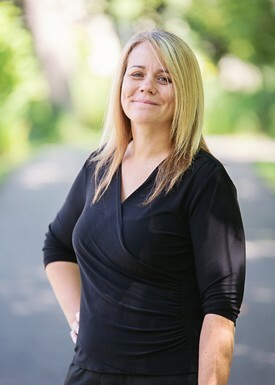 Dr. Elizabeth (Libby) Buckley attended the University of Toledo on a soccer scholarship and received her Bachelor’s degree in Communications in 2003. She then followed in her father’s footsteps and enrolled in dental school. Dr. Buckley graduated from The Ohio State University College of Dentistry in 2007 and promptly moved back home to Dayton, Ohio to work with her father. While her husband, Tim, attended law school at the University of Dayton, Dr. Buckley continued her professional development through continuing education courses and Dayton Dental Society meetings. Upon graduating, Dr. Buckley’s husband took a job in Cleveland (where he grew up) and they relocated their family to Westlake. She is an active member of the Greater Cleveland Dental Society, as well as the Ohio and American Dental Associations. Dr. Buckley is focusing on all aspects of general dentistry including cosmetic dentistry, fixed and removable prosthodontics and orthodontics. Dr Buckley is also excited to announce that she is now certified in Invisalign. 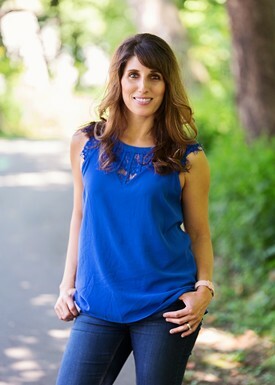 In her spare time, she enjoys running and has trained for several 5K’s and half-marathons. However, most of her free time is spent shuffling the kids back and forth to practices and games and enjoying any and every sporting event with her husband. She has a very energetic and outspoken 8-year-old named Jack who can usually be found outside practicing his batting skills in an attempt to make history as the youngest player on the Cleveland Indians. She also has a 6-year-old daughter, Avery, who is the spitting image of her brother and has taken over as the wild-child of the family! Both kids are now attending St. Bernadette's in Westlake. Doris loves working in dentistry and is so lucky to be a part of such an awesome dental team! She graduated from dental hygiene school in 2013 and also has a license to administer local anesthetic. 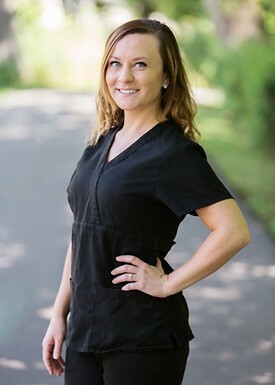 She has worked at Berea Family Dental since 2013 and enjoys every minute because they keep up with the latest technologies in order to provide the best care for their patients. 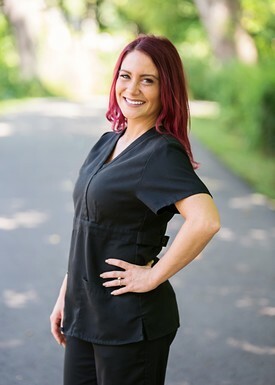 Her top priority is to make her patients feel comfortable and confident while educating them on their oral health, and promises to do the same for you! In her free time she likes to exercise and spend time with her friends and family. She also enjoys watching Ohio State and Cleveland sports. Go Bucks! She likes to kick back and relax with a good show on Netflix and loves Pinterest and making arts and crafts! Always interested in a health-related career, Marlene started in dentistry as a dental assistant right out of high school in 2011. Realizing her joy in helping others through the dental profession, she furthered her education and became a dental hygienist. The most important aspect of her job is educating patients not only on dental care, but maintaining overall health. Marlene feels at home at Berea Family Dental with the team atmosphere and their shared goal of caring for patients. Marlene has a brother one year younger (Nick) who has just started his first year of dental school at Case Western Reserve University. Marlene and her brother share a passion for dentistry and hope that one day they can work together! In her free time Marlene is a Zumba instructor at a gym in Strongsville, and loves to hang out with her friends at country concerts. Carrie is a graduate of Midview high school and earned her certificate in dental assisting from Lorain County Joint Vocational School. 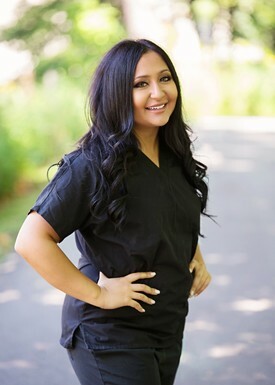 She has been in the dental field since 1997, making the decision to become a dental assistant after seeing the results of her daughter's extensive dental treatment. Carrie knew that helping others achieve a healthy, beautiful smile was what she wanted to do. After years of assisting, she realized she could help others get that smile by ensuring that they were able to maximize their insurance benefits, so she made the switch to the office side of dentistry. Carrie and her husband have four daughters and seven grandchildren. She spends much of her free time at high school sporting events and entertaining all those grandchildren. Ashley has been employed at Berea Family Dental since 2010. 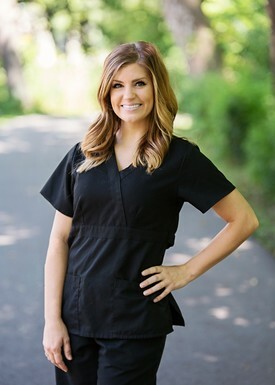 She started her career with the practice after graduating from the Dental Assisting program at Polaris Career Center. She is a nationally certified dental assistant (CDA), state certified dental assistant (CODA) and she also has her coronal polishing license. Recently she decided to further her education at Case Western, and became a licensed EFDA (expanded function dental auxiliary). She is very passionate about dental care and enjoys all aspects of her career. Although she primarily works clinically, she is also a part-time instructor at Polaris Career Center for the adult dental assisting program. She is thoroughly involved in the dental field and is very active in continuing education. She’s very fortunate to have had so many amazing opportunities thus far and is looking forward to spending many more years in the dental field! In her spare time, you can either find her in the kitchen cooking baking or spending time with family and friends. Although she doesn’t have any children of her own yet, she is an avid animal lover, and a proud dog mom to a 180-pound English Mastiff who keeps her very busy. Kellie became interested in dentistry while she was taking dental assisting during her junior and senior year of high school. She really enjoyed the program, and was excited to start her future career in the dental field. After graduating, she began shadowing and doing her externships in different offices. In August of 2015, she was hired by Dr. Buckley to work as an assistant at Berea Family Dental and has loved it ever since. Her love for patient care has helped create a comfortable environment in the office, and she is rewarded every day when she sees her patients leave with confidence in their smiles. Kellie eventually plans on furthering herself in her career by pursuing an EFDA degree, which allows her to have more responsibilities as a dental assistant. In her spare time, Kellie enjoys spending time with her family and friends. Her favorite thing to do is finding new places to travel. When she's not working, Kellie volunteers her time at the assisted living home, Shurmer Place, where she plans the activities for all the residents.